The YouTube headquarters shooting suspect was a prolific YouTube creator, running multiple channels with a focus on veganism and animal rights. She came to harbor deep resentment against the service, which she blamed for paying her too little and stifling traffic to her videos. 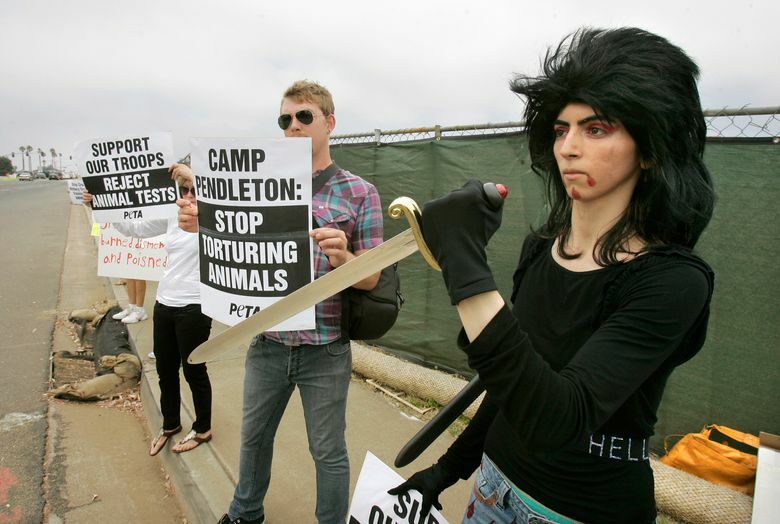 Before YouTube became the target of her violence, it was where Nasim Aghdam tried to build an identity and a business. She was among tens of thousands of so-called creators worldwide whose livelihoods rely on YouTube and who, in turn, provide the content that helps YouTube remain the internet’s dominant video platform. Creators with enough subscribers and views are eligible to share advertising revenue with YouTube for the traffic they drive to their videos. It is an arrangement that can be beneficial to both parties, but has proved fraught. Though they do not formally work for YouTube and are unvetted by the Google-owned service, many creators feel they have a stake in the company, its operations and its decisions. On Tuesday, Aghdam opened fire at YouTube’s headquarters in San Bruno, Calif., wounding three people before taking her own life. Though police have not cemented a motive, the attack exposed the risk faced by social media companies such as YouTube, whose platforms are open to all — and are now intertwined with users’ income. Providing access to everyone means some users will invariably adopt an outsize, and sometimes dangerous, expectation of the service. In the years before the shooting, Aghdam was a prolific YouTube creator, running multiple channels with a focus on veganism and animal rights. Eventually, she came to harbor deep resentment against the service, which she blamed for paying her too little and stifling traffic to her videos. “There is no equal growth opportunity on YOUTUBE or any other video sharing site, your channel will grow if they want to!!!! !” she wrote on her personal website, which amounted to a tableau of grievances about the company her family members say she had grown to hate. Aghdam was “upset with policies and practices of YouTube,” said San Bruno Police Department Chief Ed Barberini, explaining a possible motive. The attack comes at a particularly heated time in the relationship between YouTube and its stable of creators. Marred by one controversy after another, YouTube introduced restrictive polices to placate advertisers worried about seeing their names next to terrorist videos or anti-Semitic YouTube clips. The result has been a steep decline in ad revenue for creators that has been dubbed the “adpocalypse.” Creators accused YouTube of being too heavy-handed by suppressing content that the company deemed potentially offensive — a charge also leveled by Aghdam. “YouTube filtered my channels to keep them from getting views!” she wrote on her website, which included a screenshot that suggested one of her channels had garnered more than 366,000 views over 28 days, but generated only 10 cents in ad revenue. On her personal website, which features a mix of videos about animal rights and screeds against YouTube, she also embedded a video from leading YouTube star Casey Neistat about declining ad revenue. Aghdam also posted videos to YouTube complaining of censorship after the company imposed age restrictions to watch one of her workout videos, according to NBC. Animosity between YouTube and its creators reached a fever pitch this year when the company raised the requirements for viewership and subscribers to be eligible for ad payments. The decision came in the wake of a controversy involving YouTube star Logan Paul, who posted a video of himself finding a dead body in Japan’s “suicide forest” on New Year’s Eve. Though YouTube has every right to dictate its policies, creators took the move personally, seeing it as a direct threat to their livelihoods. And because creators are not employees, there was no meaningful way to air their concerns with the company other than to post tearful videos pleading for sympathy. “In no way do I condone what happened, but I understand what pushed (Aghdam) to that point,” said Matt Jarbo, host of a news commentary channel on YouTube with more than 160,000 subscribers. YouTube, which did not respond to a request for comment, isn’t the only company facing tension with its users. Social media companies such as Facebook, Reddit and Twitter are experiencing blowback from users as platforms face greater pressure to police their sites. Though the companies aren’t legally liable for most of the content posted on their platforms, they’ve responded to calls from lawmakers and the public to restrict harassment, the spread of misinformation, trolling and foreign interference. Growing revelations about data collection as a result of Facebook’s Cambridge Analytica scandal is also pushing platforms to be more transparent about their practices — something experts say could compel YouTube to also be more communicative with creators when it alters its ad policies. Nevertheless, the problems plaguing the companies today underscore an inherent risk of social media. By basing a business model on attracting as many people as possible, it’s exceedingly hard to prevent bad actors from joining. Creators may also develop a false sense of ownership of the platform, given the financial and emotional investment required. That means they can sometimes feel more like an employee than a customer of YouTube. Entirely overhauling that model is unfeasible given the platform’s overwhelming reliance on advertising and the abundance of free content creators provide. Moreover, what makes YouTube special is that almost anyone can potentially become famous on their own. The accessibility to video stars through vlogging and fan conventions has helped democratize celebritydom for a younger generation, who now view YouTube not just as a source of entertainment, but also a place to launch a career. But Aghdam’s attack isn’t the only illustration of the danger of that openness. In 2016, Christina Grimmie, a closely followed singer on YouTube, was shot and killed by an infatuated fan while signing autographs after a performance.